Vortez has the AMD Ryzen 7 1700X in-house today for a few round of benchmarks. 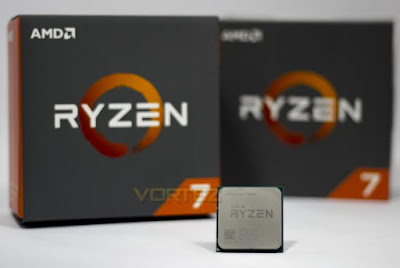 As it has 8 cores and 16 threads of processing goodness, the 1700X will be looking to catch the eye of those on the look out for a powerful CPU top aid with their content creation, broadcasting, and next-gen gaming/VR setups. The 1700X offers a huge price reduction over the 1800X and features all the latest top technology from AMD. It's out-the-box specs have it seated at 3.4 GHz, which will boost a single core to a respectable 3.8GHz. This will make the 1700X look very attractive to a wide array of people looking to save on the cost over the 1800X (or alternative).